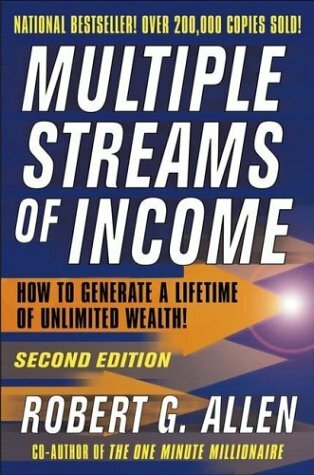 [PDF] Multiple Streams of Income: How to Generate a Lifetime of Unlimited Wealth (2nd Edition) | Free eBooks Download - EBOOKEE! Description: In Multiple Streams of Income, bestselling author Robert Allen presents ten revolutionary new methods for generating over $100,000 a year— on a part-time basis, working from your home, using little or none of your own money. For this book, Allen researched hundreds of income-producing opportunities and narrowed them down to ten surefire moneymakers anyone can profit from. This revised edition includes a new chapter on a cutting-edge investing technique. 2018-07-14Multiple Streams of Income: How to Generate a Lifetime of Unlimited Wealth! 2018-06-19Multiple Streams of Income How to Generate a Lifetime of Unlimited Wealth! 2018-06-09Multiple Streams of Income: How to Generate a Lifetime of Unlimited Wealth! 2011-12-30Multiple Streams of Income: How to Generate a Lifetime of Unlimited Wealth! 2009-10-20Multiple Streams of Income: How to Generate a Lifetime of Unlimited Wealth! No comments for "[PDF] Multiple Streams of Income: How to Generate a Lifetime of Unlimited Wealth (2nd Edition)".